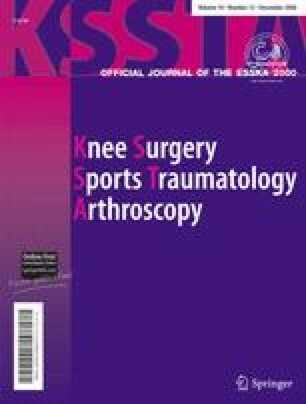 The purpose of this prospective study was to evaluate and compare the results of arthroscopic meniscal repair using three different techniques. Between January 2002 and March 2004, 57 patients who met the inclusion criteria underwent an arthroscopic meniscal repair. The outside-in technique was used in 17 patients (group A), the inside-out in 20 patients (group B), while the rest of the 20 patients (group C) were managed by the all-inside technique using the Mitek RapidLoc soft tissue anchor (Mitek Surgical Products, Westwood, MA, USA). Anterior cruciate ligament (ACL) reconstruction was performed in 29 patients (51%). The criteria for clinical success included absence of joint line tenderness, locking, swelling, and a negative McMurray test. The minimum follow-up was one year for all groups. The mean follow-up was 23 months for group A, 22 months for group B, and 22 months for group C. All meniscal repairs were considered healed according to our criteria in group A, while 19 out of 20 repairs (95%) healed in group B. Finally 7 of 20 repairs (35%) were considered failures in group C and this difference was statistically significant in comparison with other groups. The time required for meniscal repair averaged 38.5 min for group A, 18.1 min for group B, and 13.6 min for group C. Operation time for meniscal repair in group A was statistically longer in comparison with other groups. There were no significant differences among the three groups concerning complications. According to our results, arhtroscopic meniscal repair with the inside-out technique seems to be superior in comparison with the other methods because it offers a high rate of meniscus healing without prolonged operation time.